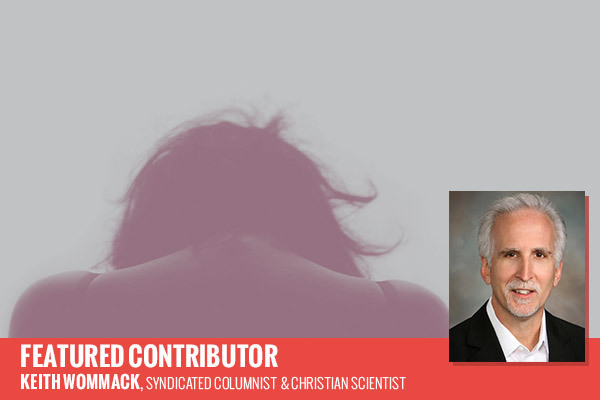 For National Suicide Prevention Week, Featured Contributor Keith Wommack shares how spirituality can help you reduce thoughts of emptiness. There are immediate telephone lifelines for those finding themselves drawn into such a downward spiral. Anyone struggling with suicidal thoughts, or who knows someone who is, can do something about it, today. In the United States, call the National Suicide Prevention Lifeline: 1-800-273-TALK (8255). In addition, there’s another kind of lifeline that many are finding sustainably practical. It is spirituality. An increasing number of psychologists and physicians are recognizing a connection between spirituality, resiliency, self-control, and health. It’s clear that all too often unfairness, pain, alienation, and isolation hijack our thoughts. However, research shows that the right kind of spirituality can promote thoughts and acts that are beneficial. It can enable us to face down emptiness and make us mentally stronger. It can bolster health and healing. At a conference I attended two years ago, one of the conference speakers, Dr. Kenneth Pargament, Professor of Psychology at Bowling Green University, spoke of how spirituality can actually jump-start both the lives of the client and a healthcare provider. Spirituality lessens anxiety and depression, and provides a better quality of life. Spirituality lessens anxiety and depression, and provides a better quality of life. In my spiritual practice, I’ve additionally found that understanding the Divine as all-good and all-loving brings a spiritual authority that can put a stop to mesmeric, dark and evil influences. Feelings of lack of worth, not belonging, no purpose or clear direction for his life, swirled together with self-hatred and self-absorption and became overwhelming. “I could not see beyond those dark feelings. So, at one point, I decided to do the deed. At the time I wasn’t sure what stopped me, but I ended up firing a bullet into the closet instead,” he recalled. Finally David’s quest for healing took a more spiritual turn. He began reading the Bible and was introduced to a book titled, Science and Health with Key to the Scriptures by Mary Baker Eddy, the founder of the Christian Science Church and discoverer of its spiritual system of healing. From that initial spark, David began to gain self-control by appraising the thoughts that came to him and differentiating whether they came from the divine Mind (God) or the human mind. He was less overwhelmed and began to have a better sense of worth and purpose. He is now married and has two beautiful children. For my part, I pray that each person, struggling with suicidal thoughts, will discover just how unique and special they are; that they have a spiritual selfhood. At first, it may seem hard to push past pain that seems solid and unyielding. Yet, we can begin to reason more effectively when we learn where our authority comes from. As well, attending church can introduce you to others who can help you learn more about your spiritual selfhood. You are precious and unique and your life is intended to serve a blessed and profound purpose. You have the God-given ability to defend and fulfill that purpose. If you or someone you know is struggling with suicidal thoughts, visit the National Suicide Prevention Lifeline www.suicidepreventionlifeline.org or call 1-800-273-TALK (8255).